Custom Printed Mugs and Glassware! Fastest Turnaround Time - Guaranteed! Highest Quality Printing - Guaranteed! Highest Quality Mugs - Guaranteed! FREE - Artwork and Design! Mugs-4-Less.com is a manufacturer of high quality custom printed coffee mugs and glassware, and we offer our products to you at Guaranteed Low Prices! Custom printed coffee mugs are great for all of your promotional needs including: business promotions, promoting Organizations and Events, promotion Clubs, Charities and Fund Raisers as well. We also offer all of our coffee mugs and shot glasses as blanks, with no printing on them at all. 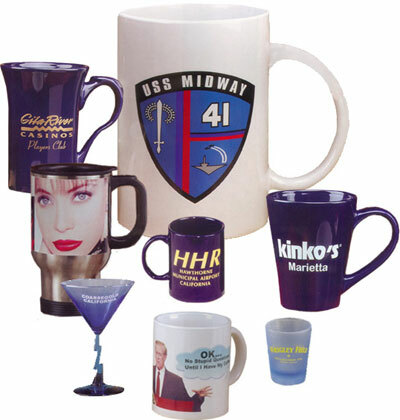 Please email us at sales@Mugs-4-Less.com or call us at 1-877.503.8493 and one of our friendly and professional sales representatives will be happy to quote you on our blank coffee mugs and shot glasses. Look on any desk and it will be easy to see what the user's most prized possession is. It's not their PC or their phone, or even their pen. Their most prized possession is their Coffee Mug! So relish in the knowledge that your company will be in the minds of your key audience the next time they drink a hot cup of coffee from their favorite possession - the coffee mug you gave them! All of our coffee mugs are kiln fired at 1100F-1450F making them the most durable and longest lasting printed mugs available! Not even the harsh environment of a dishwasher or microwave oven can hurt these mugs. Do not be fooled by low priced, low quality mugs offered by many of our competitors. 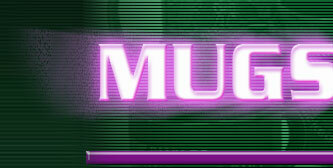 Mugs-4-less.com offers FREE artwork and design with every coffee mug order. Unlike most of our competitors, we never charge for artwork and design. You will have our highly talented and experienced graphics department at your disposal, whether you need simple text or a new design from scratch, our team will prepare your proofs for FREE! 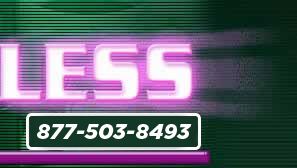 Please contact one of our friendly and knowledgeable customer service representatives today at sales@Mugs-4-Less.com or by calling our toll free number (877.503.8493) and we will get started on your design and custom printed coffee mug order immediately!